Brass chandeliers are like French wines or pearls: classic. Just because it’s a classic, however, doesn’t mean that it’s boring. Like the little black dress in every fashionable woman’s wardrobe, chandeliers for dining rooms come in all shapes and sizes: miniature, small, medium, large and – for those stately ballrooms and elegant dining room halls – grand. Here, at Crescent Harbor, we will even custom-design a beautiful brass chandelier on request to help you get the timeless look of dining room lighting fixtures you’ve been dreaming of. And, like the little black dress, brass chandeliers are always in vogue. Whatever your style – traditional, contemporary, rustic or daring – a brass chandelier automatically transforms your home into a statement of class, beauty and fine taste. Ornate or simple, modern or antiquated, funky or sleek, brass chandeliers add a timeless look of dining room lighting. You pick the mood, and we’ll match the chandelier. Do you want to create a romantic atmosphere? How about an antique brass incandescent chandelier, inspired by the city lights of Paris at night? How about an elegant look? Why not go for a traditional 10-light, polished brass multi-tiered chandelier? Whatever you choose, brass chandeliers are the timeless look of dining room lighting fixtures. Many people associate chandeliers with bygone eras – say, the glamor and wealth of the roaring 20’s? Or the big money and big style of the 1980’s? How about the ornate drawing rooms of Victorian era? Or 19th century salons? Are you catching our drift? The truth is, brass chandeliers are for everyone and anyone who wants to make their home shine, and they are at home in any decade, any era. Is your dining room a bit drab? Do you need to brighten and lighten it up? Are you happy with the run-of-the-mill light fixtures sold by every home outfitter? If your answer is no, we don’t blame you. Having the right light fixture makes all the difference in the world, not only in the quality of light in your home, but also in the overall look and feel of the room. 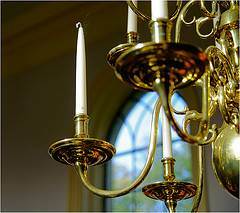 So why not get a brass chandelier – the timeless look of dining room lighting fixtures? Who couldn’t stand to brighten up their dining room with a light fixture that will always stay classy and in style? Styles are always changing, but brass chandeliers are the timeless look of dining room lighting. Finally. Something that won’t change.